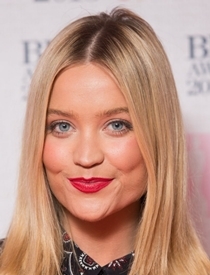 The Irish presenter Laura Whitmore was born on 4 May, 1985 to Carmel Whitmore and Sean Mclvor. Her journey to fame and success started in 2008 when she won the Pick Me MTV campaign launched by MTV Networks Europe. Winning the campaign made her the face of MTV News in Europe. She remained with the channel from 2008 to 2015 and hosted news bulletins and several other special events for them. Out of her extensive work, Laura is probably most well-known for co-hosting the TV show I’m a Celebrity…Get Me Out of Here! NOW! for four years. In addition to her work over television, Whitmore also has interest in fashion designing having launched a self-branded clothing ranged with Irish women’s clothing store A-Wear. Known for her long legs and beautiful body, Laura Whitmore has also been featured in a few magazines along with being named among the sexiest women’s of the world. While when it comes to her personal life, she has remained in a relationship with model David Gandy, singer Danny O’Reilly and musician Miles Kane. The Laura Whitmore body measurements complete information is listed below including her weight, height, bust, waist, hip, dress, bra cup and shoe size. Laura’s career began as a researcher in an Irish radio station. Whitmore has also appeared in a couple of music videos of different artists. She first rose to fame after winning the Pick Me MTV campaign to become the face of MTV News in Europe.